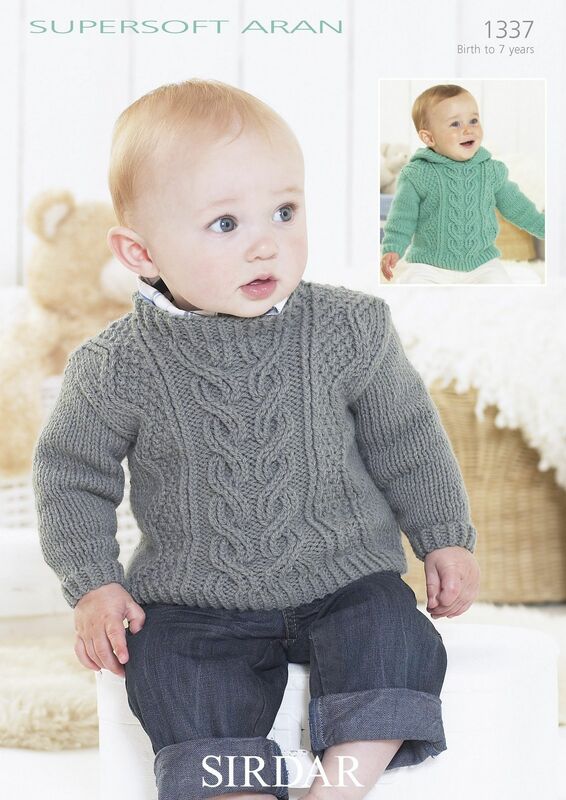 Round Neck Sweater and Hooded Sweater knitted in Supersoft Aran. Originally in Soft Grey (905) which has been discontinued, please select an alternative. Originally in Light Teal (903) which has been discontinued, please select an alternative.